On Saturday, July 28, 2018, the good Lord came and welcomed Anthony Joshua Harr home, after a short 43 years on this Earth. He didn't want to go, but at least now he's free of pain. He was born in San Jose California, on June 29, 1975. He was a loving brother to Bob Ross, Tanja Weatherford, Sandra Harr, and Jennifer Ross-Cole. He was the loving son of Virginia and Leon Ross of Truth or Consequences, NM and Anthony and Judy Harr of Key West, Florida. 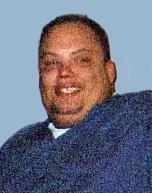 He leaves behind his wife, Brandy Briggs, of Truth or Consequences, NM. He has three children who he was so proud of, Amanda Smith (Ricardo Lucero), Timothy Briggs, and Deylah Briggs. His delight was his new grandson, Jacob. He also leaves behind his precious chihuahua, Kitty Kat. He played a huge part in raising his nieces and nephews who felt like children of his own. Aimee, Shania, Heather, Leon, Robert, Jayden, Gabe, and Masyn. They shall miss him deeply. He enjoyed providing care to others in a long term care setting, in skilled nursing and for our Veterans. He was known as the Gentle Giant by his residents. He later found his calling as a heavy equipment operator in Florida. He could make a piece of equipment dance. Joshua and his father, Anthony, worked together in the Florida Keys. It was a time he enjoyed. Josh will be remembered for his love of music, racing and wrenching muscle cars, and driving his trucks. He loved to draw his cars, and yours if you asked him to. Above all he loved to make you laugh. Josh loved the outdoors. He enjoyed his horses and endurance riding. He liked nothing better than a family barbeque topped off by one of his wife's homemade cakes. Above all we want Josh to be remembered for the love he carried in his heart for all of his family and friends. Cremation has taken place and a Memorial Celebration Service will be held on Monday, August 6, 2018, at 11:00 A.M. at the Kirikos Family Funeral Home Chapel. I love you brother. Thank you for being my friend, my defender, and believing in me.Your always in my heart and on my mind. So sad that you are gone but so grateful you were here. I love you. I am so sorry to hear of this great loss in your family. May God forgive him all sins he may have taken with him and heal and comfort your entire family. I will be praying for you all.